As a financial planner, Carl Richards grew frustrated watching people he cared about make the same mistakes over and over. They were letting emotion get in the way of smart financial decisions. 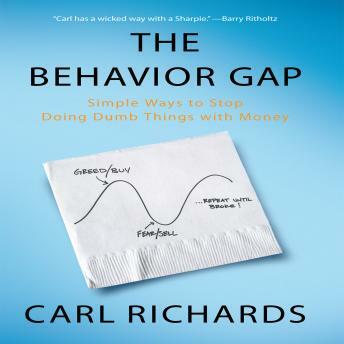 He named this phenomenon-the distance between what we should do and what we actually do-'the behavior gap.' Using simple drawings to explain the gap, he found that once people understood it, they started doing much better. Richards's way with words and images has attracted a loyal following to his blog posts for The New York Times, appearances on National Public Radio, and his columns and lectures. His audiobook will teach you how to rethink all kinds of situations where your perfectly natural instincts (for safety or success) can cost you money and peace of mind.